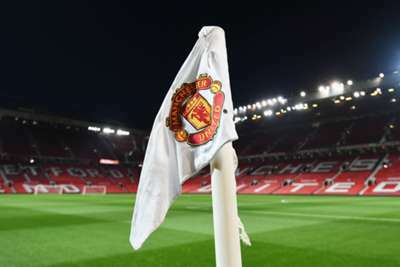 Manchester United have increased ticket costs for travelling Valencia fans in response to the Spanish club's refusal to charge away supporters a "reasonable amount" for their Champions League meeting at Mestalla. Valencia informed United they are charging away fans £77 for their match on December 12, catching the Premier League club by surprise. United claim to have initially estimated fans would be charged a maximum of £55 and now feel as though their followers are being unfairly treated once again after Sevilla hiked prices in the Champions League round of 16 last term. The club have responded in a similar fashion to that occasion, saying they will up their prices for Valencia fans for the Old Trafford clash on October 2. United say they will also use the extra revenue generated to subsidise ticket costs of their supporters travelling to Spain. In a letter to fans successful in applying for Valencia tickets, United wrote: "Prior to receiving confirmed pricing, we had estimated a maximum price of £55, and conducted the ballot based on this. "Valencia have now confirmed our tickets for this game will be priced at £77, in this instance we believe that our travelling supporters are again being unfairly subjected to increased/excessive ticket prices from the host club. "This view is shared generally amongst travelling supporters and we have received many requests from individuals and supporter groups to intervene in this matter. "This has been raised with Valencia, and internally, but ultimately Valencia have not agreed to lower the price of tickets to what we view as a reasonable amount. "Similarly to Sevilla away last season, we have again taken the difficult decision to charge Valencia fans for the home leg at Old Trafford the same amount as Valencia are charging the away fixture (£77). "We will use this increase to subsidise our travelling support by paying the £22 price increase for each of our travelling supporters; therefore, you will not be charged any additional amount." United also announced any additional revenue gained as a result of the price change will be donate to the club's charity arm.